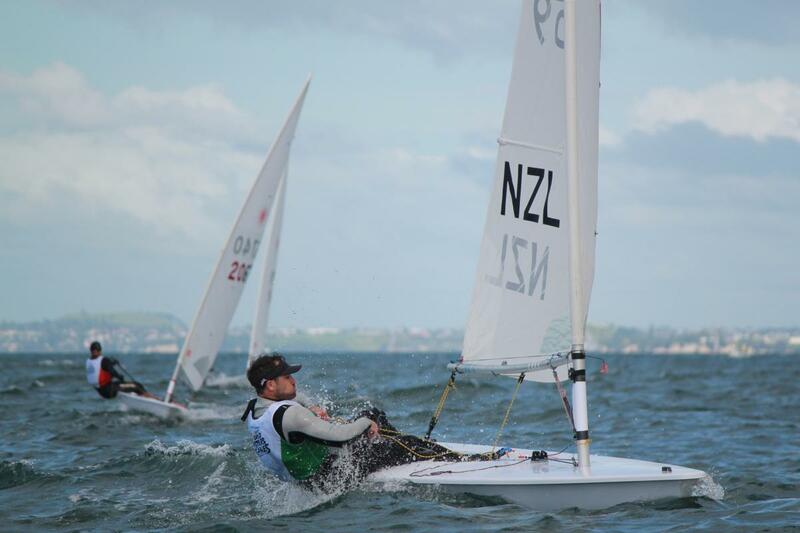 The 2017 World Masters Games finished up over the weekend at Torbay Sailing Club , New Zealand. Soon after Dan Slater crossed the finish line in the final race of the World Masters Games, someone yelled out that he had finally picked up a Games medal at the fourth time of trying. The medal might not have been an elusive Olympic one – he is a three-time Olympian – but it was gold and special nonetheless. The 41-year-old emerged victorious after a tight battle over 10 races with Matt Blakey in the apprentice masters of the Laser fleet. Only two points separated the pair going into today’s final day and that was how it finished as they crossed within one position of each other in both races. Slater shed 7kg in the leadup to the event having, as he explained, continued to eat like a Finn sailor just without the exercise and said it had all been worthwhile. Competitors enjoyed the best sailing conditions of the week today, with a 10-15 knot northerly blowing off Torbay. There were a couple of hairy moments for some, and former New Zealand Sailor of the Year and yachting commentator Peter Lester was unceremoniously thrown into the drink. Lester and Slater weren’t the only sailing royalty competing this week and former Olympic champion Rex Sellers just finished out of the medals in the single-handed Weta. He easily won his age group (65-74) but was more interested in individual honours. “I was just a bit slow around the boat, as you would expect for a pensioner,” said the 66-year-old who won Tornado gold and silver at the 1984 and 1988 Olympics respectively. “It’s great to be sailing again. I just need a bit more of the smarts and a bit more speed and youth. 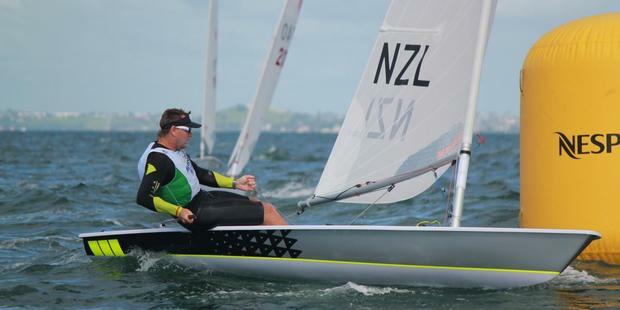 Scott Leith was too consistent in the Laser Radial fleet, finishing out of the top two only once to win his seventh masters title in eight years, and Australia’s Mark Kennedy romped away in the 55-plus Laser Radial fleet, winning by 31 points. It was closer in the 55-plus Laser fleet, with Great Britain’s Tim Law taking the title by five points from New Zealand’s Murray Thom. Aus’s ( now residing in NZ ) Suellen Davies took out the Laser Radial Womens Apprentice Master fleet. Do yourself a favour and read her blog posts throughout the event here, they are truly entertaining ! Michelle Bain took out Gold in the Radial Womens Master and Christine Bridge took out Gold in the Radial Womens Grand Master fleet. It didn’t take too long for the recovery drinks (beers) to emerge after the final race but Slater’s celebrations had to be put on hold, initially at least. As a Laser dealer, he needed to pack away 20 boats before he could relax. Blakey was going to afford himself a good meal, but already had his eyes on future World Masters Games. Some great shots from the event by Richard Milner.